Click here to read about the tag and release award winners. The Beyond Our Shores Foundation, a 501(c)(3) public charity, was founded to engage the public in rich, educational, and meaningful marine science experiences and scientific research. Fishermen are encouraged to participate in linked research programs that all share a common thread: an economically and ecologically important finfish species, the dolphinfish. The dolphinfish impacts many stakeholders throughout the fishing industry and while the foundation of our work revolves around this amazing species, our programs transcend many different aspects of marine and fisheries science. Click here to learn more about our fishermen driven data collection programs. by Beyond Our Shores, Inc. Check out the latest Dolphinfish Research Program newsletter that highlights some of the findings from the past 16 years of fishermen driven research. The Beyond Our Shores Foundation is focused on expanding upon these findings. Fish aggregating devices (FADs) have a centuries old history. Currently, it is thought anchored FADs are being used in nearly every coastal setting throughout the tropical seas. In the Caribbean Sea, dolphinfish is one of the top species caught at FADs. What data is currently being collected? Dolphinfish is one of the top landed species in terms of weight around Puerto Rico, yet most of the island’s restaurants serve imported dolphinfish. Beyond Our Shores, Inc., is working to provide the ability for participating restaurants to showcase where you can get the freshest, locally harvested dolphinfish filet as well as other sustainably harvested seasonal seafoods. If we could set aside any consideration of fishing, eating and economics relative to dolphinfish, as difficult and unpleasant as that might seem, we are still left with a fish whose biology and movements are intriguing and enigmatic. For a biologist, determining how this species makes its living in an ecological and evolutionary context unlocks another chapter in the diversity of life and makes dolphinfish research particularly exciting. The one thing we have learned, however, is that progress in this endeavor is not possible without the cooperation of the dedicated fishers that have tagged, recaptured, sampled dolphinfish or otherwise shared their valuable knowledge. Beyond Our Shores will foster our collaborative goal of conserving dolphinfish for the future. 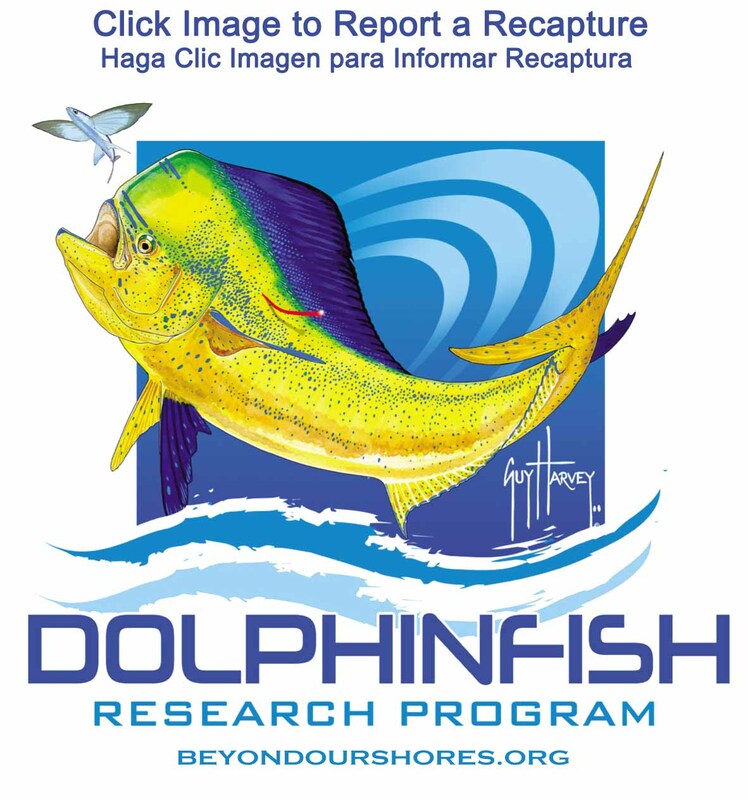 I am excited to see the Dolphinfish Research Program evolve to be supported by its own non-profit organization. This is important because it allows private citizens and foundations to make tax-deductible donations to a program that is dedicated to collecting scientific information on dolphinfish. A fish that is the number one harvested fish in blue water troll fisheries of the Gulf of Mexico and South Atlantic Bight. In fact, more dolphin are harvested in these areas than are king mackerel, yellowfin tuna, blackfin tuna and wahoo combined and it’s exciting to know that Beyond Our Shores, Inc., is focused on the conservation of this species for future generates to enjoy. My team and I are involved in tagging dolphin because it is one of the top targeted recreational fish in our region and the more we know about their growth, travel, and schooling behaviors, the better off we are. By tagging 2600 fish for science, our team on Killin’ Time II has shown that the average fisherman in an economical boat can make a difference. Participó en el DRP para contribuir con las científicos y conservar mi pez favorito, el dorado. Así aseguramos la perpetuidad de la especie para el disfrute de futuras generaciones de amantes de la pesca deportivo.